I’ve been a slave to the medical industry for over 5 years now. I’ve worked for the top gastroenterologists, cardiologists, psychiatrists, and a variety of surgeons. I’ve even dated one. And what have I learned? They REQUIRE efficiency and what is more efficient than having all of your needs at your fingertips. The doctor’s bag, once a briefcase full of gadgets for on the go, has transformed into one device that fits into the palm of your hand and can be carried in your pocket. The iWorld has allowed for Medicine to go Mobile. Epocrates. 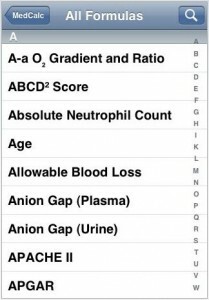 A free medical app that features many useful on-the-go references for physicians who are on-call, away from a computer, or simply in need of immediate information. 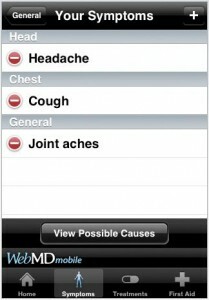 This app features a search option that allows your doctor to look up labs, conditions and medications. It even provides images of diseases and allows for docs to quickly search for medication interactions. This is not to say that any Old Joe should download this app and self-medicate. No, you need to know you’re profession in order to make use of this app. It’s a reference for trained physicians, not a “How to Be a Doctor for Dummies” manual. 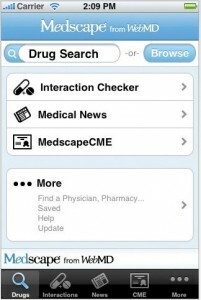 Medscape (from WebMD) is a sister app that is just for looking up medications and their interactions. 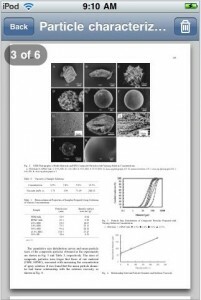 This app is similar to the feature already available in Epocrates. 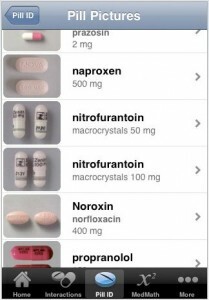 A slightly difference type of app is MedCalc, which gives docs quick and easy access to medical formulas. 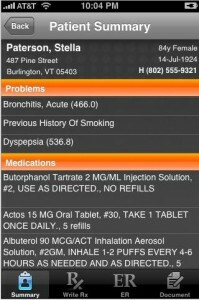 Even more exciting are applications like AllScripts Remote which allow docs to log in to their professional schedules and electronic medical records in order to reference patients on the go, for instance, if they are on call and need to step out from dinner to take a patient emergency call. So what does the mobile medicine market mean for physicians? Easier access to the information they need right on hand. It allows for more quick, efficient decision making and ultimately better care for you. Medical apps will definitely allow for more effective medical care because lets face it, most docs have ditched their pagers and subscribed to the iWorld… but even with faster tools for medical care, I doubt you will be waiting any less time in the waiting room for your physician. If anything, they’ll use the extra time to catch up on SportsCenter or NPR while they finish their lunch.